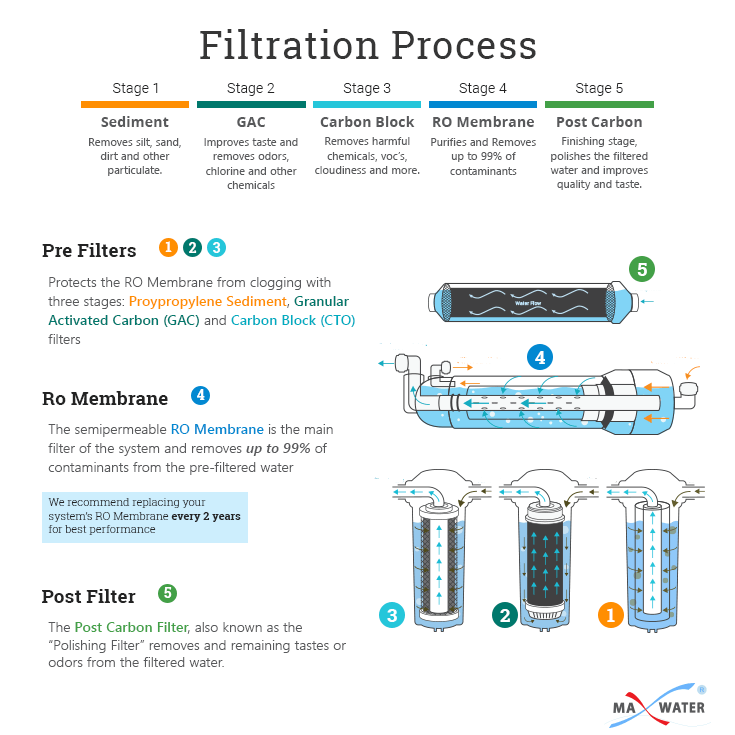 Reverse Osmosis membrane elements for home drinking water are the industry's most reliable method of water filtration. Advanced membrane technology and automated fabrication allow these elements to deliver consistent performance that equipment suppliers, water treatment dealers, and residential customers can rely on. 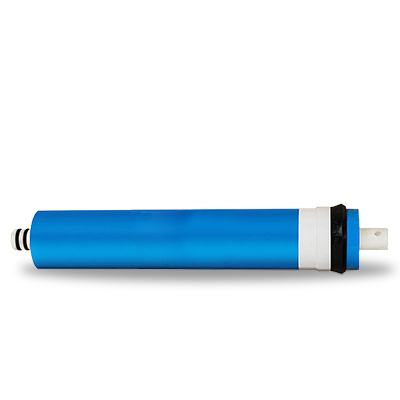 Our Reverse Osmosis membranes are shipped dry for convenient handling and long shelf-life. 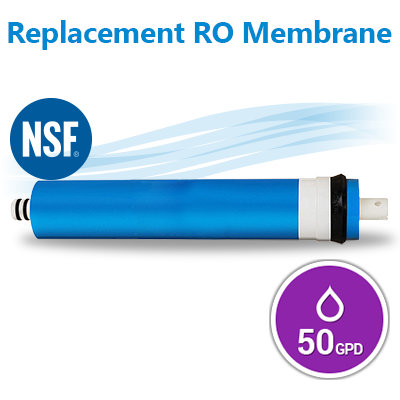 Our NSF rated membranes are rated at 50 psi and will purify about 20% more water than competitive elements rated at 60 psi. This model's capacity 50 GPD at 60 PSI. 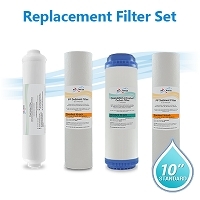 50 Gallon Per Day Membrane for Reverse Osmosis systems, Fits all membrane sizes 1812-50. Certified to NFS/ANSI 58 Standards. 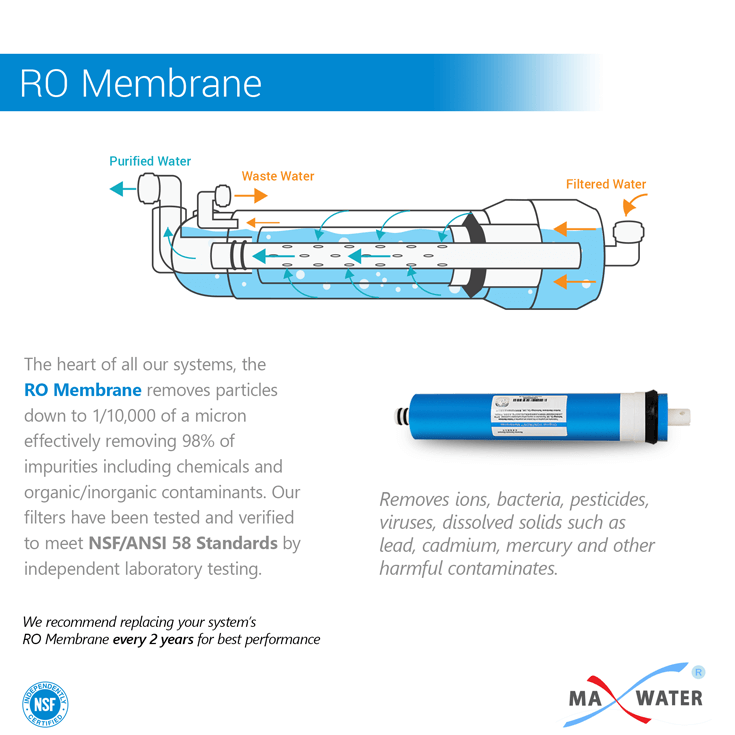 Removes particles down to 1/10,000th of a micron (removing 98% of impurities including organic, inorganic contaminates, chemicals, ETC.). 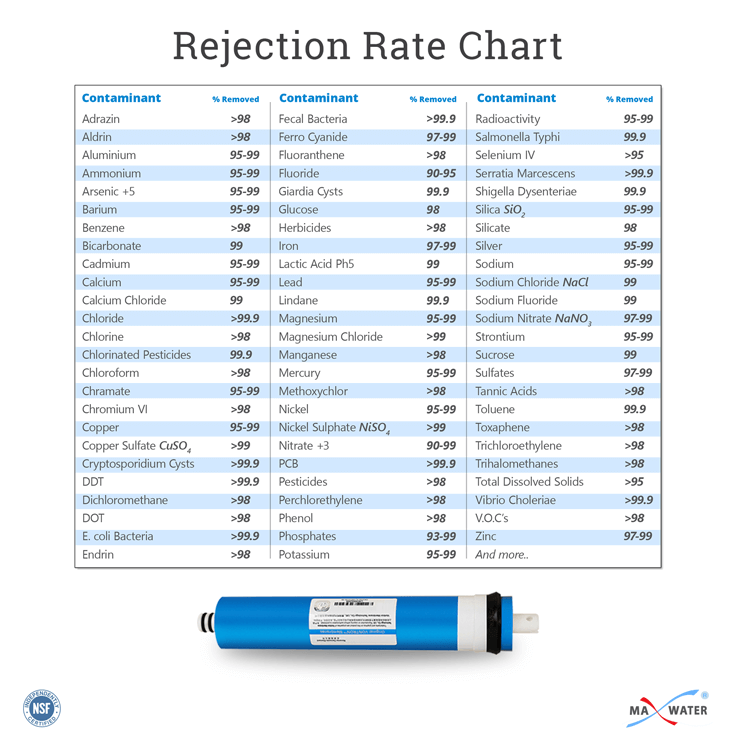 Provides stable, high rejection of contaminates even with high TDS water sources. Advanced membrane technology with innovative thin layer composite membrane design. More consistent performance with less fouling requiring less frequent cleaning and changeouts. 100% dry-stored membrane maximizing shelf life. The first full tank of permeate should be discarded, DO NOT use this initial permeate for drinking water or food preparation as it may contain carbon fines and manufacturing by-products. Keep membrane moist at all times after initial wetting. The membrane shows some resistance to short-term contact with chlorine (hypochlorite). Continuous exposure, however, may damage the membrane and should be avoided. This is a replacement filter for my osmosis unit.We use it down in Yuma Az where the water is so full of salt that you can not drink it , this unit make it drinkable ,It take all the salt out. Great product and a great price.